From journalist and author Sue Halpern comes a wry, observant look at contemporary life and its refugees. 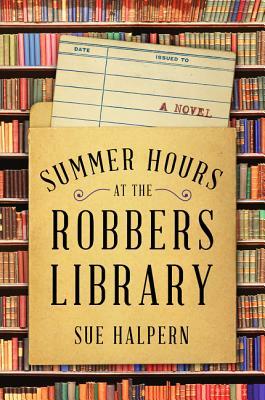 Halpern’s novel is an unforgettable tale of family...the kind you come from and the kind you create. People are drawn to libraries for all kinds of reasons. Most come for the books themselves, of course; some come to borrow companionship. For head librarian Kit, the public library in Riverton, New Hampshire, offers what she craves most: peace. Here, no one expects Kit to talk about the calamitous events that catapulted her out of what she thought was a settled, suburban life. She can simply submerge herself in her beloved books and try to forget her problems. But that changes when fifteen-year-old, home-schooled Sunny gets arrested for shoplifting a dictionary. The judge throws the book at Sunny—literally—assigning her to do community service at the library for the summer. Bright, curious, and eager to connect with someone other than her off-the-grid hippie parents, Sunny coaxes Kit out of her self-imposed isolation. They’re joined by Rusty, a Wall Street high-flyer suddenly crashed to earth. In this little library that has become the heart of this small town, Kit, Sunny, and Rusty are drawn to each other, and to a cast of other offbeat regulars. As they come to terms with how their lives have unraveled, they also discover how they might knit them together again and finally reclaim their stories.